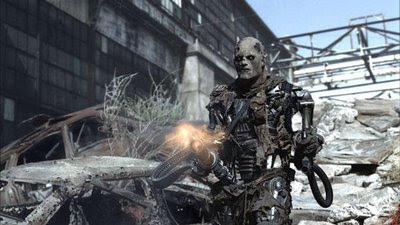 New Terminator images | JAMMSBRO '+g+"
A T-600 looking battle burned and mean. 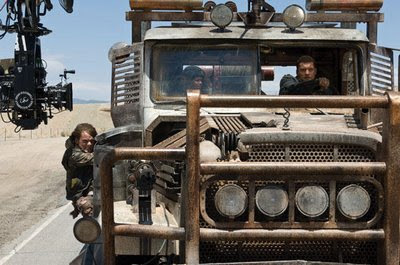 Resistance commander Marcus Wright (Sam Worthington). Some beat up old jets. Looks like the resistance is using what they can find. 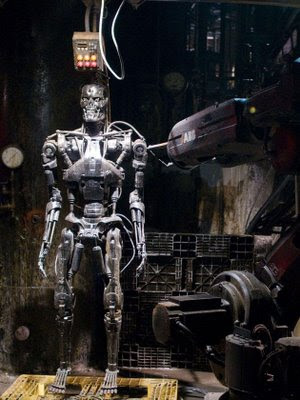 Looks to me like a production model of the "Arnie" T-800. Clash of the Titans gets another god. Michael Caine works with Nolan once more. Why CRANK 2 is AWESOME! TMNT live action movie confirmed. Excellent new Transformers 2 footage. Buffy movie becoming a reality?